What does CFD mean on your property tax bill? This question has come up many times recently and in an effort to educate our clients as well as readers we will discuss CFD and why it appears on your property tax bill. If you recently purchased a home in the Greater Riverside area, specifically in a newer community, you have likely wondered what the different CFD charges are on your tax bill. CFD (Community Facilities District) was a law passed by the California State Legislature in 1982. The law was originally sponsored by Senator Henry Mello and Assemblyman Mike Roos. This is where the term Mello Roos originated! Mello Roos is a creative way of funding public services and facilities in our communities. Facilities such as schools, parks, streets including other important services such as fire and police. This is not necessarily bad thing but it does create a lot of confusion and misunderstanding for homeowners as well as potential homeowners. When you are considering purchasing a home it is important that you do your due diligence. The seller is required to disclose any Mello Roos, unfortunately we see it time and time again when agents do an insufficient job of entering a new listing in the MLS and searching for Mello Roos. Riverside, especially the newer areas of Riverside have many communities with Mello Roos. You have your standard property taxes which is everything up at the top of your statement and based on the assessed value of your home, below that you will see the “FIXED CHARGES” many of them have CFD somewhere in the name. All of the items in the “FIXED CHARGES” section are part of the bonds that were issued to pay for the Mello Roos. How long will you pay Mello Roos? As long as needed to pay off the bonds that were issued. The bonds are typically for a 20-25 year duration. There some as short as 10 years and others that can go as long as 30 years. You can call the Tax Assessors office to get an explanation on each fixed charge. Curious if a home has Mello Roos? It is simple to find out. If you are thinking of buying a home you can go to the Tax Assessors website and do a search. 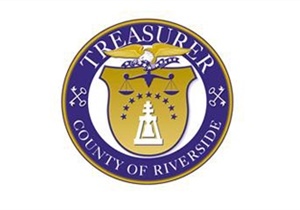 In Riverside County all you need to do is visit the assessors website HERE. Do an address or APN (Assessors Parcel Number) search. Pull up a copy of the breakdown and look to see if any “FIXED CHARGES” have CFD listed in the name. Most of these fixed charges will have a phone number next to them. Call and ask them how long these charges will continue. Communities in Riverside County where you will certainly find Mello Roos are the Orangecrest, Eastvale, Lake Hills and newer areas in Corona, Moreno Valley, Menifee, Murrieta, and Temecula. Unfortunately the reality is most homes built in the last 10 years are likely going to have mellow roos. Hope this helps someone out there better understand these charges and why they appear on your tax bill. Please leave a comment below if you have any questions. If you are thinking of buying or selling real estate in the Greater Riverside, CA area, Contact The DeBonis Team. Luc & Stephenie have developed a wealth of knowledge about Real Estate in the Inland Empire.